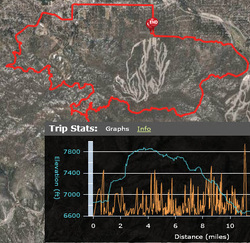 Epic XC Rides - Big Bear Mountain Biking Trail Guide Maps GPS - Hiking Trails too! Here are some great loops that you can follow on your GPS. These are XC MTB Loops that link lots of great singletrack!